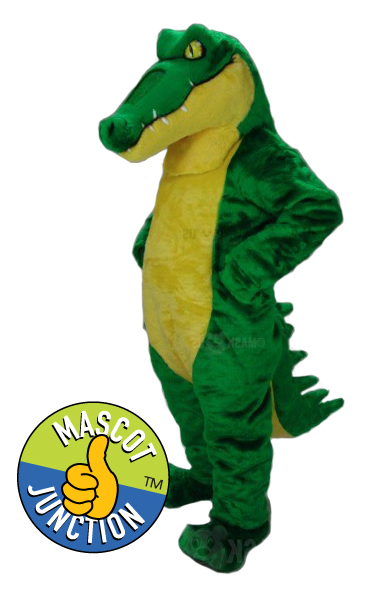 48 clip art illustrations are included in the Standard Clip Art Set. 44 clip art illustrations are included in the Behavior Clip Art Set. 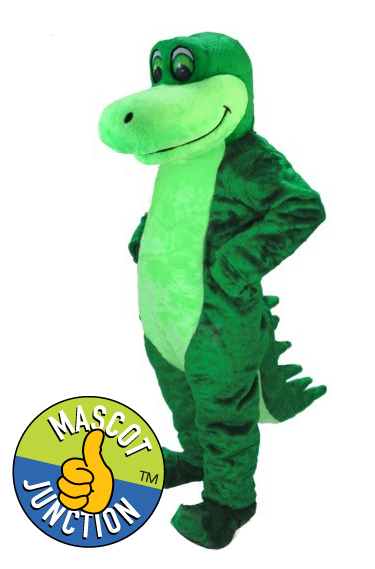 45 Award Certificate templates featuring your mascot demonstrating what the award is for. Powerpoint template. 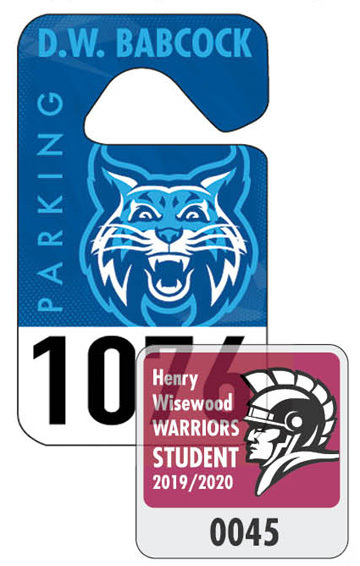 Just type in the student's name and print. 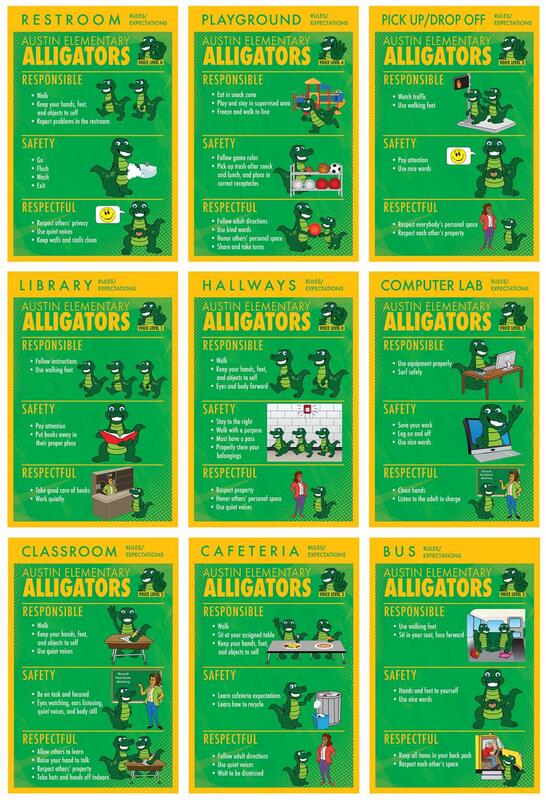 This alligator welcome poster is for PBIS schools. 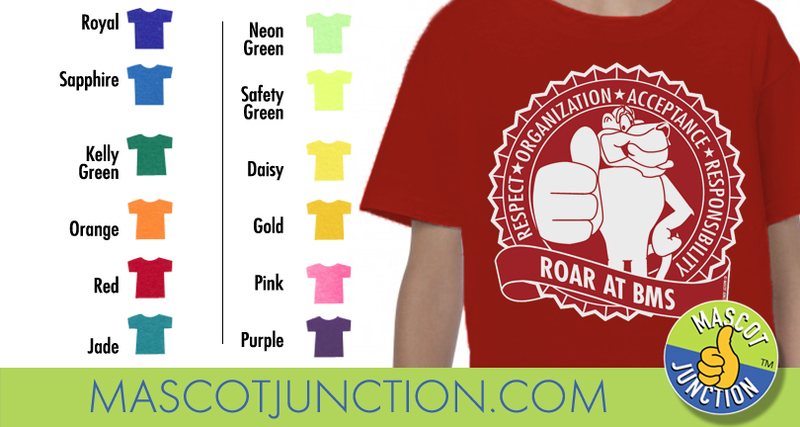 Rules posters are customized with your rules, school colors and acronym. 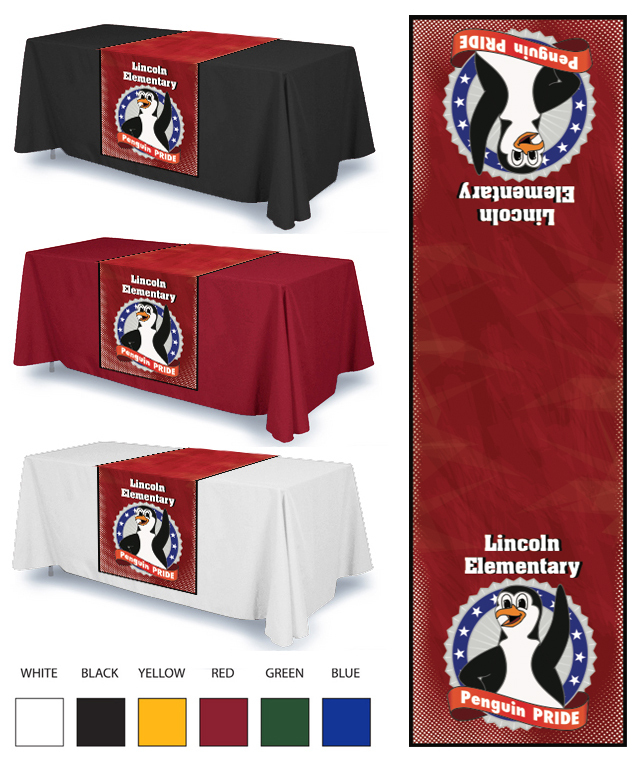 Matrix posters are customized with your words, school colors and your acronym. 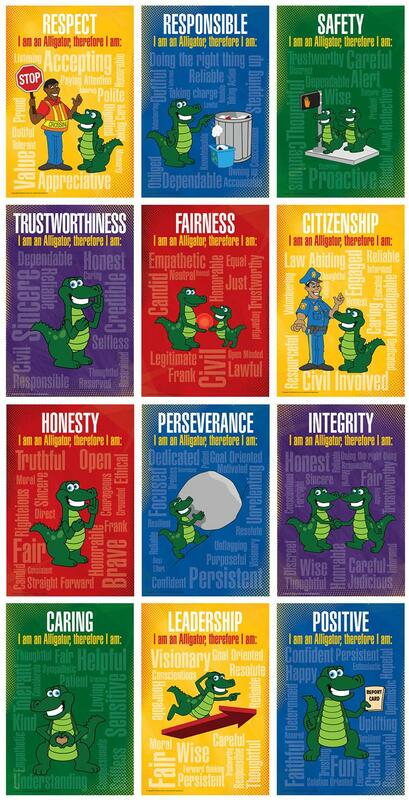 Word cloud posters featuring our alligator mascot are used for teaching character traits in schools. 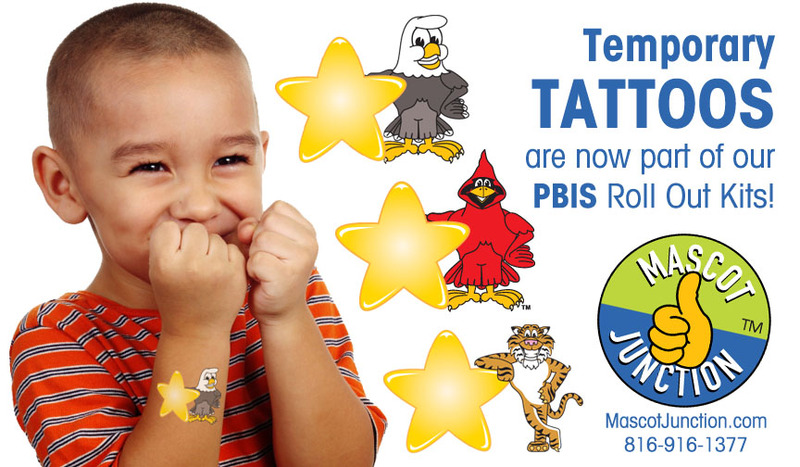 This Welcome Banner is for PBIS schools. This Welcome Banner is for Schools of Character. 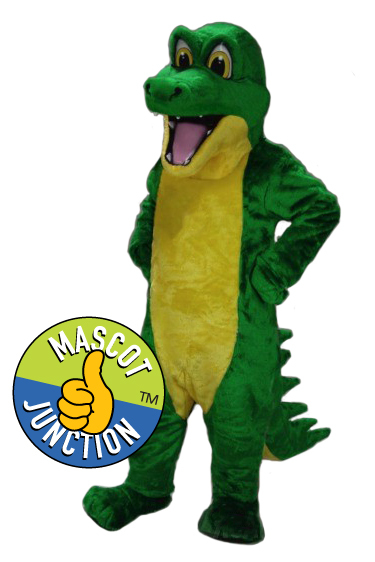 Hallway street signs are customized with your words, colors and mascot. 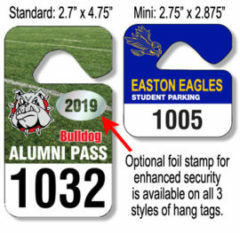 Make of plastic or aluminum, printed one or two-sided. 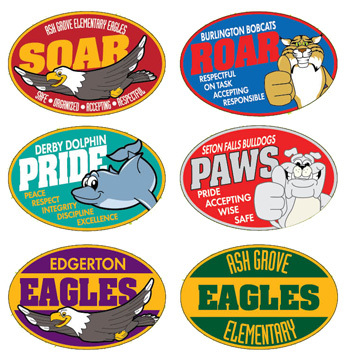 Plaquettes are 9" x 12" plastic signs, and are for schools where wall space is limited.